President Obama has admitted that, owing to the intransigence of the Israeli prime minister, there is now no realistic assessment that a peace deal can be achieved before he leaves the White House in January 2017 or even the prospect of a negotiated commitment to a two-­state solution. There is, however, every prospect of a terrifyingly damaging, 3rd intifada as a result of Netanyahu’s deliberate destabilising of the status quo regarding access to the Al-Aqsa mosque in Jerusalem ­ in a copycat policy similar to that of one of his (failed) predecessors, Ariel Sharon who deliberately provoked the 2nd intifada in which 3000 Palestinians and 1000 Israelis were killed. 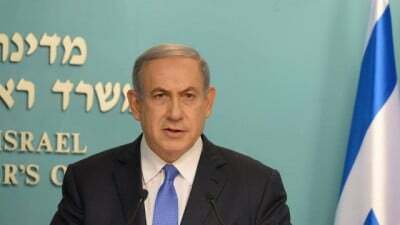 So now Netanyahu goes again to his friends in the compliant US Congress to demand yet more money, more arms and more killing machines to defend and extend his land grabs and illegal settlements in the Occupied Territories, in defiance of President Obama, the EU, the UN and in violation of international law.